Reach out to your people even when you're commuting or away on a trip. 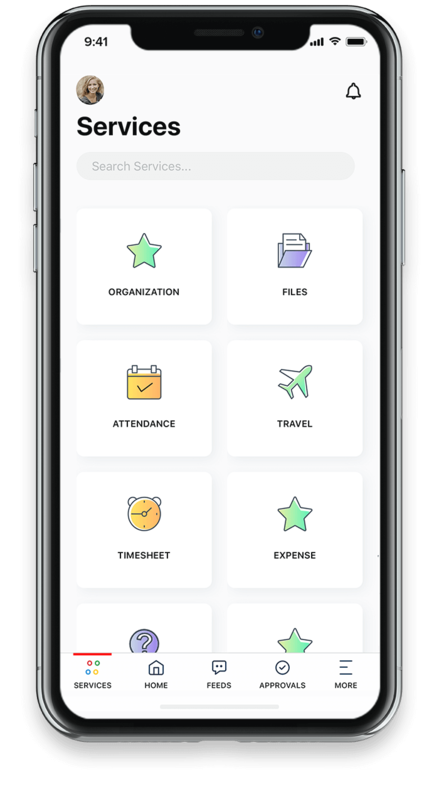 Zoho People's iOS and Android apps help you keep track of all your HR functions from anywhere. 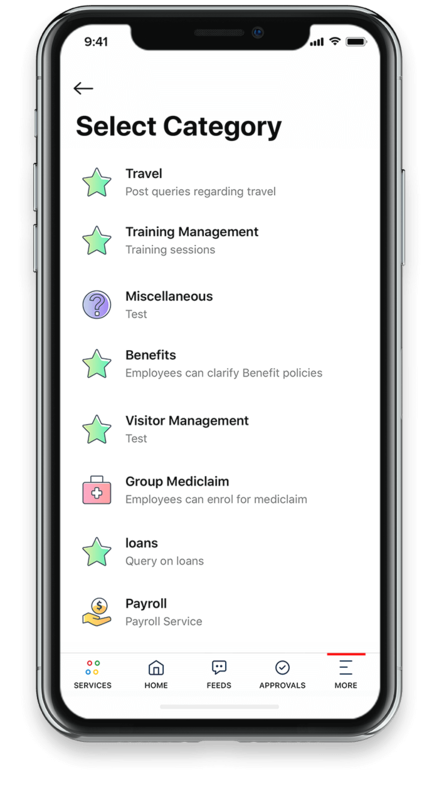 All HR services in a single tab. Just a click allows employees to access any service, with all the associated documents and FAQ. Clock-in and clock-out with just a click. 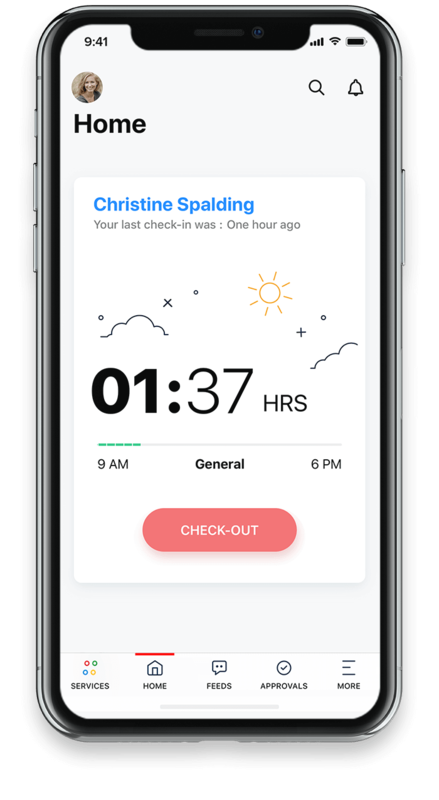 Geo-restrictions ensure that employees only check-in from the right locations. 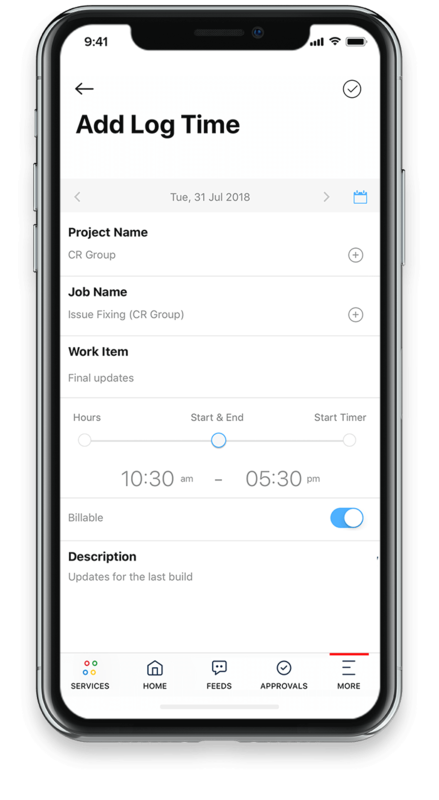 Easily search for employees through the directory in the mobile app. Get all the details you need, and make a direct call from inside Zoho People. 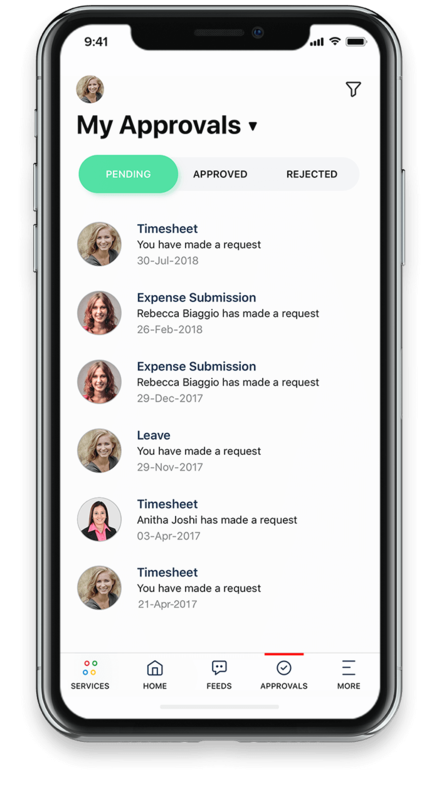 Employees can request leave approval or add hours to their timesheets, all from their smartphones. You can even ensure that employees only check-in and log time from the office through IP restrictions. How many days of leave do I have left? Who should I contact regarding my health insurance? If employees have a query, they can go ahead and ask their HR team from wherever they are. 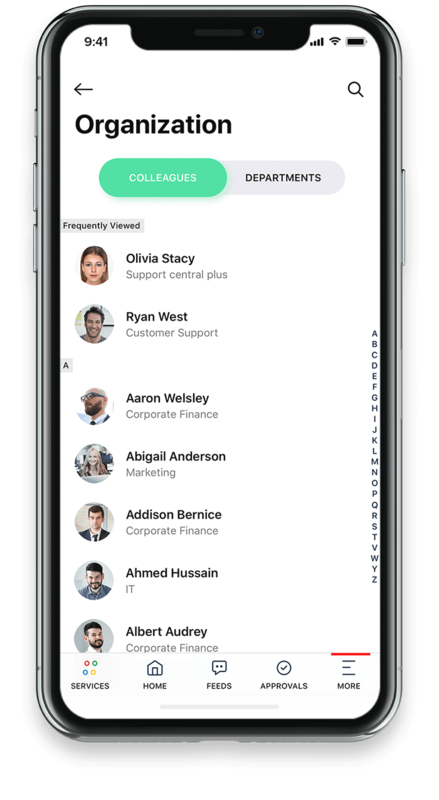 HR agents can pick up the questions, assign tasks, and answer on the go. Create, assign, and track tasks from anywhere. Zoho People lets you stay on top of things even when you're away from your desk. All it takes is a single click for employees to submit requests and for managers to approve them. 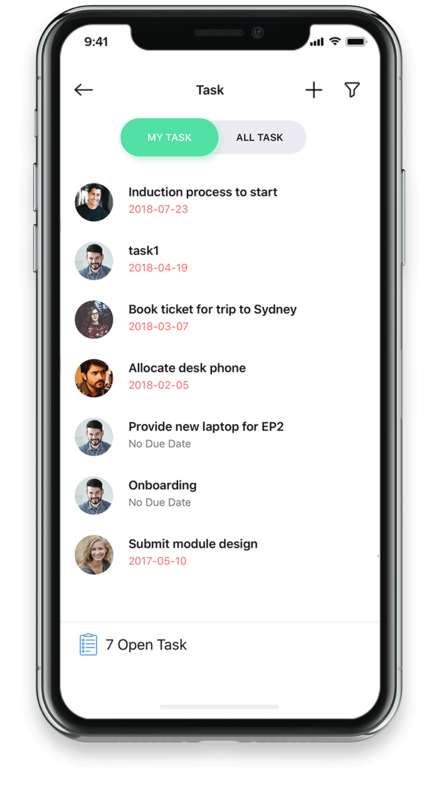 Zoho People's mobile app cuts through the busywork and lets you get down to business.